Cheers! Looking for the perfect holiday cocktail that you should have at your holiday gathering this season? Let’s dive in with this inspired signature drink idea – the Holiday Mule! 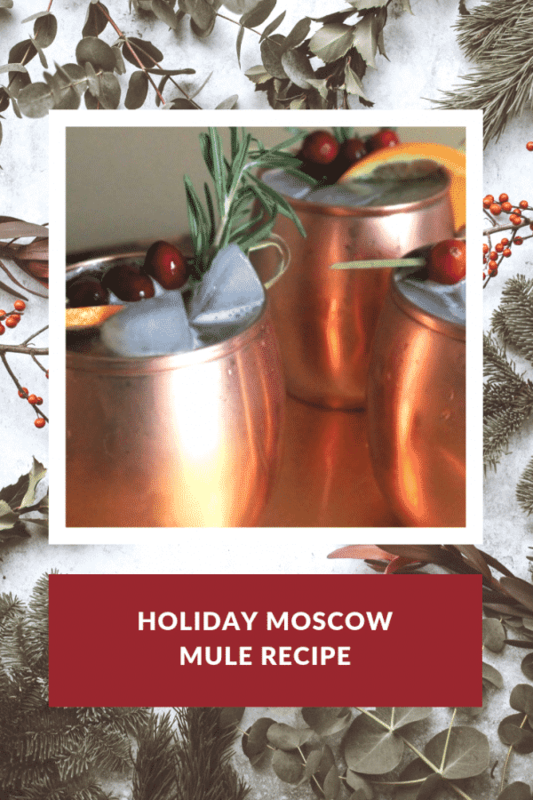 Here’s the scoop below so you replicate our easy Holiday Mule Recipe. There are tons of fun holiday drinks out there, but alot of them are too sweet or too heavy for me. I like to save that sweetness for cookies! Whenever I have a drink, I look for something smooth, crisp and refreshing. That is why I love Moscow mules! Ever hear of them? The traditional cocktail is made with vodka, ginger beer, fresh lime + mint, served in a copper mug garnished with a slice or wedge of lime. It became popular during the vodka craze in the United States during the 1950s. They are so good and totally fit my “requirements” when looking for a drink. This season, I am sharing one of my favorites but with a holiday spin. 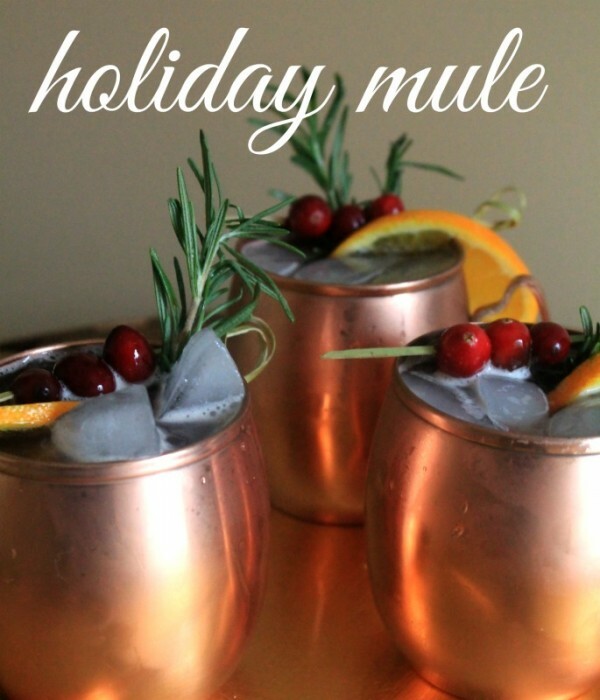 Enter, the holiday mule. I think every party should have a signature drink. I find that everyone loves what the host is pouring and something your guests can all bond over. 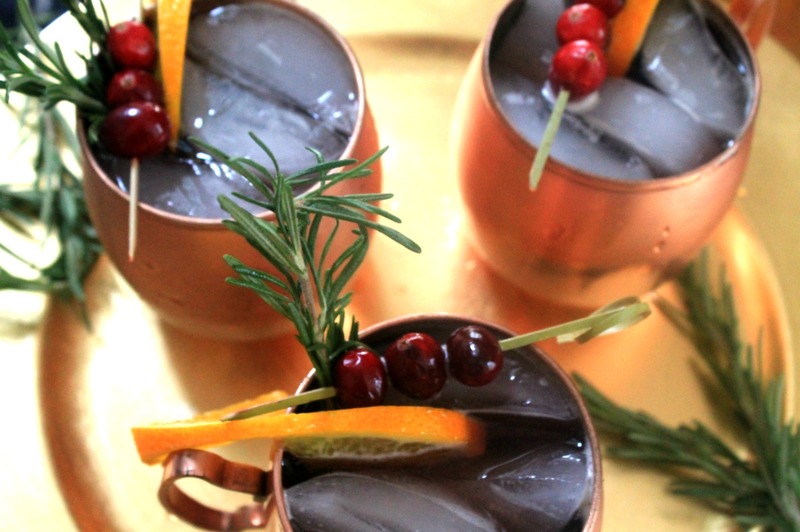 Your guests will love this holiday inspired mule. Between the fresh ginger beer, beautiful seasonal garnish + scent of rosemary, your guests will be clinking & cheersing their “copper mugs” together all night. Combine simple syrup, cranberry juice, and vodka, pour over ice and top with ginger beer. Serve with fresh rosemary, orange wedge and cranberries! while sipping their holiday mule. About the Author: Cait Burton blogs over at piece of cait, where she shares a little piece of her life, while also trying to live a sweet and healthy lifestyle. Looking in the copper mugs and “classy” garnish!! I have never heard of this recipe and it sounds so perfect for a holiday party this years so unusual thanks for sharing this one. love this cocktail, so good!! !